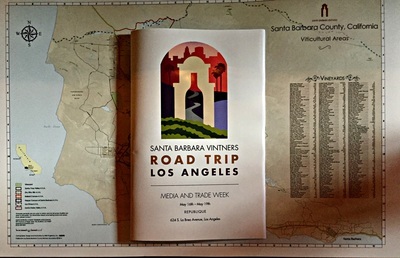 In a fascinating, focused week on the wines of Santa Barbara County, Santa Barbara winemakers came to Los Angeles last May, where they presented a compelling case for drinking more of their world-class wines. Billed as Santa Barbara Vintners Road Trip Los Angeles, an exploration and celebration of the diversity of the region spanned four days. 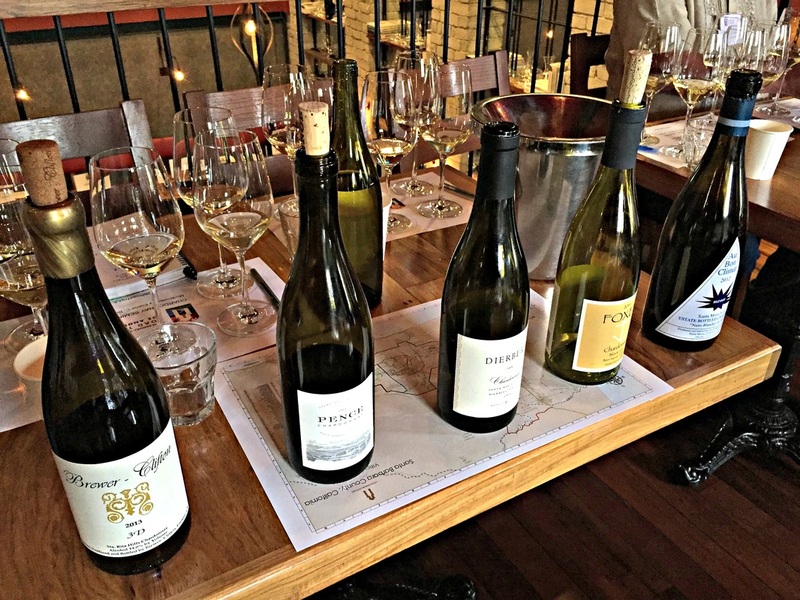 Morning seminars and afternoon tastings at Republique offered wine professionals ample time and opportunity to swirl, sniff, and taste these wines that speak so eloquently of the nuances of the region. Santa Barbara wine country, a sweet spot of climate, soils, geology, and geography, boasts a diversity of wine that would make Noah and his Ark proud. Grape varietals, many transplanted from France’s iconic regions of Burgundy, Bordeaux, and the Rhône, have found a vineyard paradise here, with more than 50 different varietals grown. It’s a cornucopia of distinctive and small production wines, a winemaker’s dream and a wine drinker’s fantasy. Chardonnay, glamorous, golden,and oh so popular, is the most widely planted wine grape in Santa Barbara County. It’s a super-star wine that derives its best expression from the cradles of Santa Maria Valley and Sta. Rita Hills, yet is often considered reflective of a winemaker’s style. 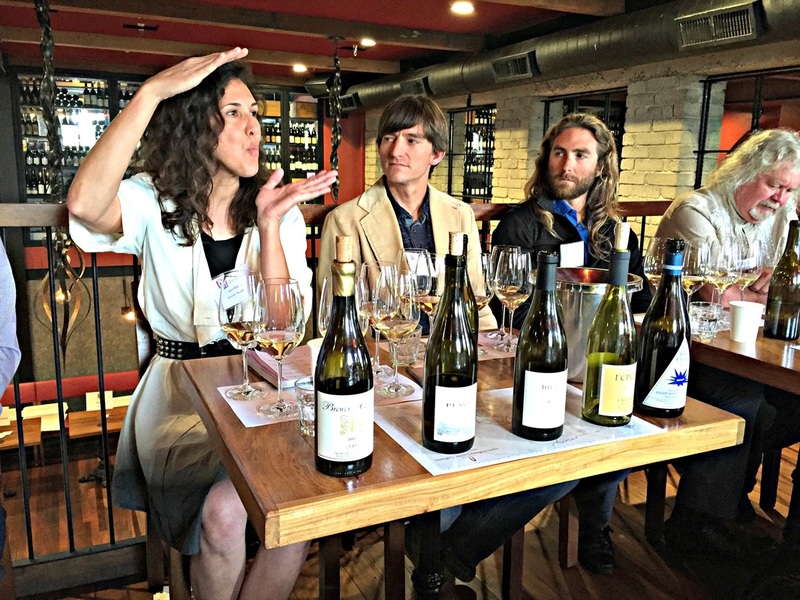 The Chardonnay seminar, moderated by acclaimed wine writer Elaine Chukan-Brown, brought together five renowned winemakers: Jim Clendenen of Au Bon Climat, Greg Brewer of Brewer-Clifton, John Faulkner of Pence Ranch, Tyler Thomas of Dierberg, and David Whitehair of Foxen. Each brought one wine to illustrate and compare Chardonnay’s style and character from the different appellations in the area. In a spirited discussion of Chardonnay, there was agreement and debate on their experiences growing and making wine in Santa Barbara County. All found themselves extremely lucky to be here, where Mother Nature has given winemakers a nearly ideal situation. All recognized that the maritime factors of climate and soils figures predominantly in Chardonnay’s freshness, acidity, and mineral nature, finding that Santa Maria Valley gives rise to round wines with tropical notes, whereas Sta. Rita Hills yields leaner wines with more citrus flavors. Dierberg’s Thomas found, “One thing I observe in all five wines is great freshness, which is a hallmark of great Chardonnay, but what you see integrated in that freshness of Sta. Rita Hills is salinity. I think it’s one of the defining marks that differentiates the two regions (Santa Maria Valley and Sta. Rita Hills).” Yet there was a move away from the term “minerality” for some, defining a saline component in the wines. Foxen’s Whitehair mused, “I want to say that minerality and salinity, in my opinion, are rolled into one, what I call brininess.” From there, a fascinating conversation ensued about where the salinity came from, some arguing that it came from the soil and grape skins, others that it came from the air. Although no consensus was reached, when you stuck your nose in the glass, you could literally smell the waves crashing on the shore. Tasting through the wines, whether from Santa Maria Valley or Sta. Rita Hills, there was that common thread of freshness, expressed through zingy acidity, and salinity, but beyond that, it was all about the various vineyards’ contribution to aromas and flavors. The 2013 Brewer-Clifton 3D Chardonnay Sta. Rita Hills is rich and intense, a reflection of Brewer’s minimalist approach, more of a subtractive process of neutral vessels and no lees stirring. Brewer says, “it’s a question of removal and refinement and polishing, taking away steps and minimizing the hands that touch the process.” Brewer thinks that the marine sedimentary soils are fairly neutral, but “have a real impact on the way the vines grow and the way the wines are made.” For him, the oceanic influence is distinctive, with the salinity wrapping itself around the citrus in the wine. The 2013 Pence Ranch Estate Chardonnay is bright and lighter in body. Faulkner finds the salinity is woven through its opulent flavors, prolonged through the long finish. White peach, citrus, and sage drive this vibrant wine, what Faulkner finds to be a blend of freshness and flavor, just imagine what a Meyer lemon, Yuzu, and Creme Brûlée would taste like! The 2012 Au Bon Climat Nuits-Blanches au Bouge Santa Maria Valley is made mostly with fruit from the legendary Bien Nacido vineyard. A richer wine, with more oaky notes from two years of barrel aging, and texture from one year on its lees, the apple and citrus fruit, framed in buttery oak with spice notes, flesh out this wine. Clendenen loves “the ability to stylize our wines in all different directions”, especially with Chardonnay responding to the winemaker’s personal touch. ​What stood out the most is that we, as wine drinkers, need to make more road trips to Santa Barbara County wineries, and taste the differences for ourselves, to really identify the nuances of the vineyards, the clones, and the appellations. And, of course, everyone will have their favorite style, but there is beauty in diversity, all of these wines have a place at the table. How incredibly lucky we Angelenos are, that this wealth of wine is literally in our backyard, a mere two hour journey for some of the best wines in the world.